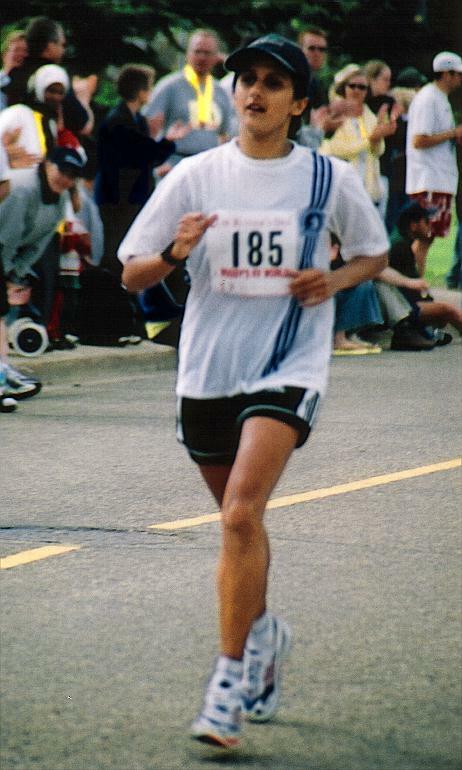 This article is dedicated to my wife, Fariyal and all runners wanting to break a barrier. When you ask a runner what their best time for a particular distance is, there is normally an embarrassed pause, perhaps some shuffling of the feet and finally a quiet response. No matter what ability level, most runners are never really satisfied with their personal bests. Even right after a runner has gone out and set a new personal record, in their mind they are recounting the race and figuring out how they could have run faster. We at Women in Motion are no different. As soon as the marathon is completed the heart rate monitor is deprogrammed of its lap interval times and the results entered into a chart. And now the analysis of each race interval according to its race pace is done. A part of the reason for this is that no matter how fast we run, there is always someone who can run faster. It is really impossible to feel dominant as a runner, because we all know the stopwatch tells no lies. Another reason for the internal dissatisfaction comes from our desire to attain certain personal goals. Perhaps someone wants to break 20 minutes for 5 K. Or perhaps it is the need to go under three hours in a marathon. A time of 02:59:59 seems a million times better than 03:00:01 in this case, and yet 2 seconds can easily be caused by a slight mismeasurement of the course or a crowded starting line slowing the first part of the race, or a headwind we have to fight in the second half.. Still, the barrier exists in one's mind in a very real way. The problem doesn't stop once you have broken through a particular time barrier, though. If someone runs a 02:59:59, it becomes obvious just how far away they are from a 02:59:00 marathon. So it doesn't matter what level you are at or what times you are running, there are always unattained time goals sitting out there in front of you. Our times are only part of the story. Weather, course difficulty and other factors greatly influence our final time. The next thing we look at is how we placed in the race. Runners never seem satisfied. Failure to place in one's age group may be reason to feel failure, no matter how well the race was run or how fast the time. 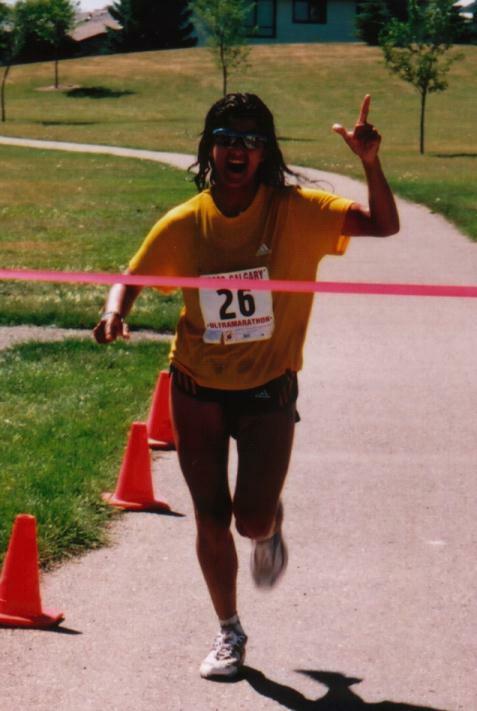 Upon placing third in an age category, a runner may be disappointed they didn't run a bit quicker and nip the second place runner at the line. 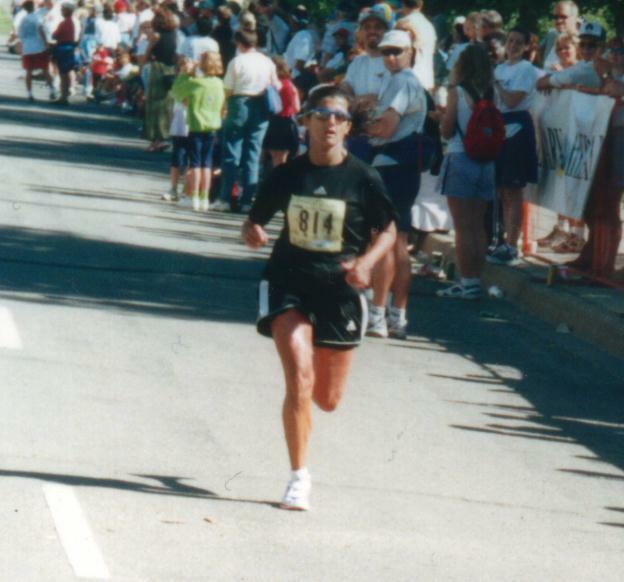 Winning an age group may be only partially satisfying if you feel you could have won the race. Even winning the race isn't enough, because there may have been someone much faster who decided not to show up for the race. It's great that we all want to constantly improve and attain new goals as runners. This is what motivates us in training and racing. But, we should all be proud of our achievements, too. Don't allow yourself to feel inferior just because there are runners who are faster, who log more miles each week, or who take home more medals and trophies than you. Remember that there are always time barriers in front of every runner. If you ran 03:08:23 and that was a good, strong effort for you, then feel proud. Sure, you could have run faster. Nobody will ever run the perfect race. So what? If you permit yourself a little pride, and feel a bit of satisfaction, you might just feel a boost of the old ego. Maybe you'll feel a little more confidence at the starting line of your next race. Maybe you'll even crash though a barrier or two as a result. More importantly, maybe you can relax and enjoy the effort a little more. It's okay to stay humble, but there's nothing wrong with a little quiet self-confidence. 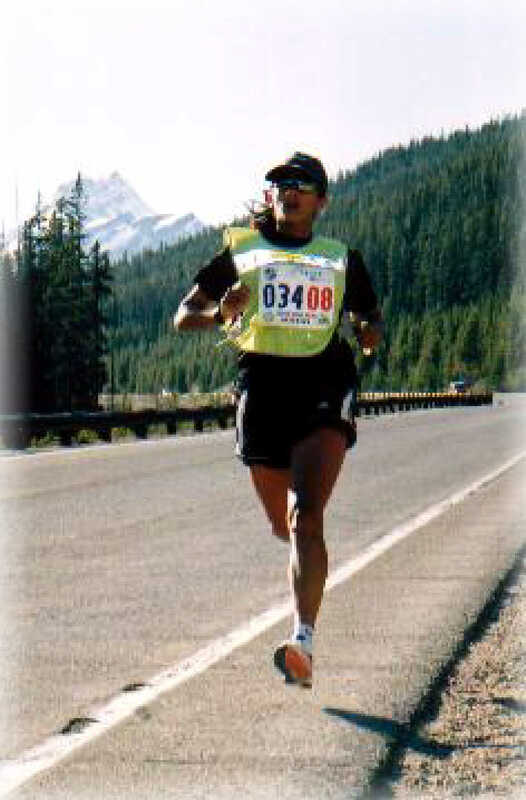 Women in Motion -Gord Samson, adapted from an old article in our collection to try to make my wife feel better. Page Updated February 6, 2000.